No matter what your skin type, a few daily steps can make a big difference towards healthy skin. Whether you have mild or severe sensitive skin, summer can bring about changes you should be aware of, in order to prevent irritation. Ammonium Laureth Sulfate —harsh detergent. Ammonium Lauyl Sulfate —harsh detergent. Sodium Lauryl Sulfate —harsh detergent and used as foaming agent. Salicylic Acid—used in skin care, acne care, and antiaging products for inflammation, can be irritating and cause allergies. Herbal extracts—just because something is natural, doesn’t mean it’s good for you, many plants have side effects and may be irritating. Heavily scented soaps can be harsh and contain fragrance, which is irritating. It’s natural that you’re exposed to more heat and sun’s UV rays in summer. As a result sebum tends to flow easily to the surface of your skin. Put simply, sebum is oil secreted by surface sebaceous glands of the skin. With excessive production (which may be due to hormones or genetics), or from heat causing sebum to rise to the surface, your skin appears shiny and you may break out with acne. Others report an improvement in their acne during summer, which could be from UV light exposure. To keep a balance between the sun’s exposure and sebum factors, it’s important to keep your skin clean, hydrated and protected. Always use a gentle cleanser that is for oily skin, yet made for sensitive skin. Stay away from products with sodium lauryl sulfate (SLS) or alcohol based cleansers. Alcohol based cleansers may cause oil glands to be stimulated. Clean your face at least two times a day, in the morning and at bedtime. Hydrate with an oil free facial lotion that is gentle. Use a gentle exfoliating scrub once a week (or more often based on results) to help remove dead cells that clog pores. Make sure you don’t pick at your skin or even touch your face with your hands, which may cause oil and dirt buildup. Very dry skin is usually associated with winter months. However, your skin may even become dry due to wind or sun exposure during summer. Don’t take long hot showers. This may deplete natural oils from your skin. Avoid rubbing your skin with a towel too hard or long. Using a sensitive skin moisturizer with antioxidants helps your skin maintain hydration and helps prevent cracks and dryness. Use a moisturizing sunscreen and lip balm. A simple patch test can determine if a new product is compatible or irritating to your skin. Wash the area on the inside of your arm near your elbow orr the inside of the wrist. Dry with soft towel. Apply a small amount of the product using a cosmetic pad or spatula. Rub the product into your skin. Examine the area for redness, itching or any rash. 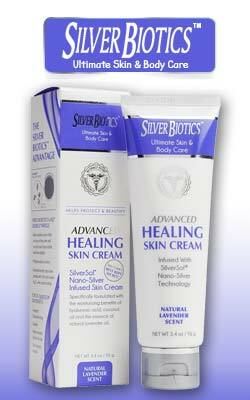 If your skin is clear and comfortable, then it’s a safe product for you. If skin becomes irritated, use emu oil for relief. If you do react negatively, note all the ingredients in the product. Cross-reference with other products you may have reacted with. Soon you’ll have a list of the problem ingredients. Instead of stressing about irritated skin, redness, or rashes, follow the tips below for worry free skin and lots of fun in the summer. Clean your face with a gentle lotion cleanser based on your skin type. Use sensitive skin moisturizer with antioxidants to hydrate. Use natural sunscreen with SPF 30 with broad-spectrum protection with active ingredients of zinc oxide and titanium dioxide. Take your hats out of storage and use them for sun safety. Use sunglasses during the day when outdoors. Remove dead skin cells to help improve tone and texture, by using a gentle exfoliating scrub. An umbrella helps for more coverage protection from sun’s rays. The most gentle and yet effective broad-spectrum sunscreen is one that contains zinc oxide and titanium dioxide. For makeup, mineral makeup with natural SPF of zinc oxide and titanium dioxide is great. It can help control shine and protect from sun’s UVB and UVA rays. If you over did it with too much sun, wind or heat, minimize the exposure and eliminate the cause. Once your skin has recuperated, protect your skin before exposure to any of the elements. A cool compress can help if you feel burning and redness.